Sepior provides software that enables the developers, service providers, and users of fintech services to transact online with trust. 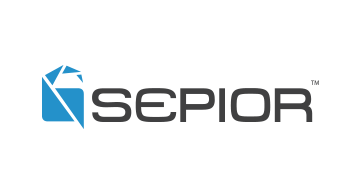 Sepior delivers institutional grade data protection and privacy through a revolutionary new approach for encryption key generation, management, and protection. Sepior’s software is designed and optimized to satisfy the most challenging requirements for security and privacy of services such as cryptocurrency custodial wallets, applications of public or private blockchains, and cloud-based software-as-a-service (SaaS) offerings. Sepior’s solutions are based on breakthrough innovations in threshold multiparty computation (tMPC), a relatively new and rapidly evolving subfield of cryptography. Sepior’s patented approach using tMPC enables online providers to transact with institutional-grade security, which was historically available only with rigid, costly, complex and constrained Hardware Security Modules (HSMs). Sepior enables the rapid and flexible deployment, elastic scale, and economics of an entirely virtualized and distributed software approach. For blockchain applications, Sepior’s software provides customized signing solutions for multiple approvers and quorums while minimizing on-chain operations to improve performance and reduce transaction fees. Collectively, Sepior’s software enables online transaction providers to enjoy maximum levels of security with minimum cost and operational complexity. Visit us at Money20/20, or www.sepior.com.